Courtesy Transfer Inc. is Michigan’s #1 container trucking, roll-off container, and intermodal transport company. Since 1981, they have been providing these services throughout Metro-Detroit, Southeast Michigan, Northern Ohio, Windsor, and Ontario, Canada. Amanda Miller, co-owner of Courtesy Transfer with her brother Nathan, initially tasked us with creating an entirely new web presence for her company. Once the new website was up and running, the focus began on local search engine optimization. Beyond the website, Courtesy also needed a new email system, internal file server, and network overhaul. We even created custom tracking software for all of their container and roll-off dumpster runs. 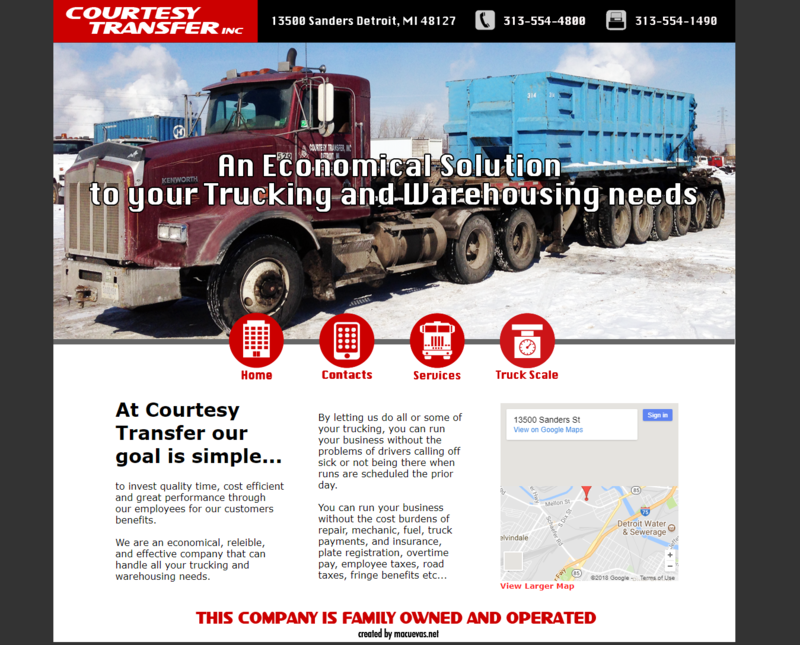 With the initial task being the creation of a new website for their Michigan container trucking company, we set out to create a website that not only looked great, but also quickly and easily conveyed the services offered by Courtesy Transfer. Shown below is Courtesy’s original website before we took it over back in 2015. Most recently, we just updated the Courtesy website again in February 2018. The new design is much more modern, and displays and describes Courtesy’s services much more effectively. We were excited to work on this site, as we always are designing new websites. Amanda and Nathan love their new website, and their staff does too. The Millers and their staff also love all of the IT services we provide, and use our software throughout each work day to help run their company.